Damian Lillard is an American basketball player who was born on July 15, 1990. 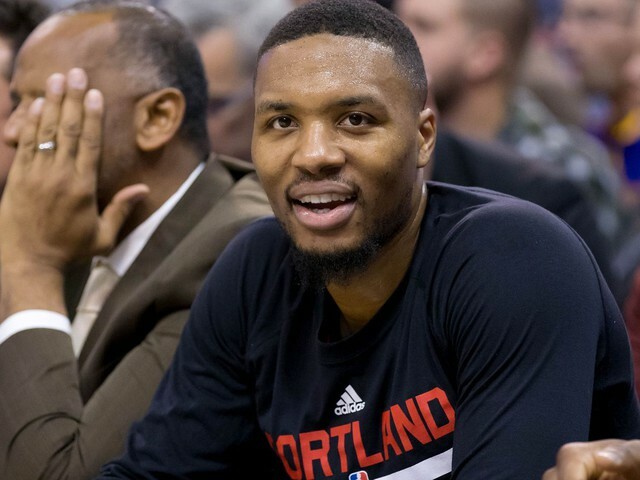 Damian Lillard's recent TV credits include Portlandia and Jim Rome on Showtime. Damian Lillard's Instagram account (@damianlillard) has a big following with around 5.4 million followers. Damian Lillard's recent posts to Instagram have gotten around 89,000 likes each. As of 2018, Damian Lillard has contributed to about 4 TV shows. Some of the most recent Damian Lillard TV appearances include Portlandia, Jim Rome on Showtime, and Conan. 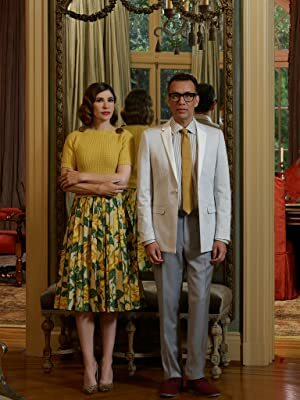 In 2017, Damian Lillard performed on Portlandia. 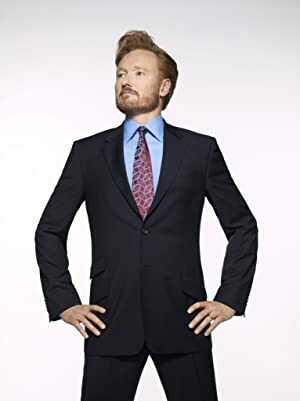 Damian Lillard was a guest on Jim Rome on Showtime in 2015 and Damian Lillard was a guest on Conan in 2014. Damian Lillard Instagram: With the theme of the @adidashoops x @marvel collab being “Heroes Among Us,” I thought it would be a good opportunity to honor one of the students in my Respect program that exemplified that theme. We picked Parkrose student JayJay Hudson as the Respect student to receive a pair of my @marvel x @adidashoops Black Panther #Dame5. JayJay represents what the RESPECT program is all about. No matter what obstacles are put in front of him he is consistently Showing Up, Working Hard and Being Kind. As an involved Junior at Parkrose High School, he is a member of the student leadership body, volunteers for the Parkrose Provides Program which supports students and families in need and is a part of the Parkrose AVID program. JayJay excels in the classroom, is a leader in the community and is constantly a positive voice in the lives of others. There have been many obstacles put in front of JayJay. In the past three months he has moved five different times and earlier in his education he attended three different elementary schools. Many decisions that a lot of students make with their parents, JayJay has navigated on his own (like getting a job or getting his birth certificate). The parental figures in his life have been his grandmother (who he describes as giving him the knowledge of how to treat older people) and his brother (who was with him throughout the foster system and who taught him how to be street smart). One of the most impressive qualities JayJay possesses is his positive outlook on life. He never sees things as tough, but just as the way of life, knowing he will get through it and be in a better place in the end. Because JayJay is an exceptional individual who demonstrates what it means to persevere, Parkrose teachers and staff are confident about the opportunities in his future. Enjoy the shoes, JayJay! damianlillard With the theme of the @adidashoops x @marvel collab being “Heroes Among Us,” I thought it would be a good opportunity to honor one of the students in my Respect program that exemplified that theme. We picked Parkrose student JayJay Hudson as the Respect student to receive a pair of my @marvel x @adidashoops Black Panther #Dame5. JayJay represents what the RESPECT program is all about. No matter what obstacles are put in front of him he is consistently Showing Up, Working Hard and Being Kind. As an involved Junior at Parkrose High School, he is a member of the student leadership body, volunteers for the Parkrose Provides Program which supports students and families in need and is a part of the Parkrose AVID program. JayJay excels in the classroom, is a leader in the community and is constantly a positive voice in the lives of others. There have been many obstacles put in front of JayJay. In the past three months he has moved five different times and earlier in his education he attended three different elementary schools. Many decisions that a lot of students make with their parents, JayJay has navigated on his own (like getting a job or getting his birth certificate). The parental figures in his life have been his grandmother (who he describes as giving him the knowledge of how to treat older people) and his brother (who was with him throughout the foster system and who taught him how to be street smart). One of the most impressive qualities JayJay possesses is his positive outlook on life. He never sees things as tough, but just as the way of life, knowing he will get through it and be in a better place in the end. Because JayJay is an exceptional individual who demonstrates what it means to persevere, Parkrose teachers and staff are confident about the opportunities in his future. Enjoy the shoes, JayJay! Damian Lillard Instagram: Outside with my son before heading to OKC! Nothing beats being this dudes dad ... and nothing ever will. damianlillard Outside with my son before heading to OKC! Nothing beats being this dudes dad ... and nothing ever will. Damian Lillard Instagram: May you Rest In Peace . Love you James bra... thank you for being a light and a real supporter always family! damianlillard May you Rest In Peace . Love you James bra... thank you for being a light and a real supporter always family!